There is never a dull day in Long Beach, California. You can find something fun to do any day of the week. Between the busy life of Downtown or the relaxing days at the Shore, there is something for everyone. This is why I love Long Beach and enjoy sharing my knowledge with those who want to live here. Let me show you the beauty of Long Beach Real Estate, then take some time to enjoy the Long Beach Life. 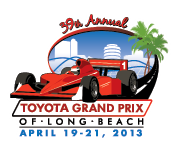 For the 39th time, we welcome the Grand Prix to Long Beach! This event brings thousands to Downtown Long Beach with activities for everyone in the family. Besides the awesome races you can find the ever-expanding Family Fun Zone – located in the Long Beach Arena section of the Lifestyle Expo – has rock climbing walls, games, video games and racing simulators and action sports demonstrations. In addition, kids 3-to-6 years old can race in their very own race cars! Outside, older kids and adults will have the opportunity to race in Go-Karts atop the Long Beach Arena parking garage! Check out their website www.gplb.com. Chill- The Coolest Place in Southern California! The lights won’t go out — at least this year — on a unique Long Beach holiday tradition. 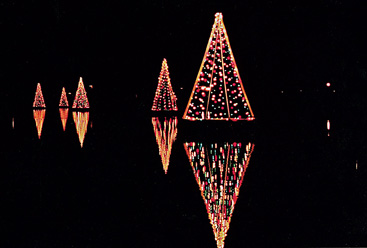 This year there will be 66 floating Trees in the Bay, which are wood-framed, tree-shaped pyramids lit up around the city from Thanksgiving through the holidays. Most of the trees are placed in Alamitos Bay (hence the name), but there also are trees along the Peninsula, in Colorado Lagoon, Heartwell Park, the Duck Pond at El Dorado Park, Queensway Bay, Rainbow Harbor and Spinnaker Cove. There’s even one on the Belmont Veterans Memorial Pier and at the Station 34 lifeguard station. The story goes that then-Long Beach resident Don May floated a traditional Christmas tree in a raft on the bay in 1949; by 1953, the live tree was replaced by a wooden frame, and the tradition grew from there. Bob Livingstone, contract management officer for the city, said public donations have helped offset the costs of the Trees in the Bay for many years. This year, enough money has been raised to continue the tradition yet again. Each tree costs $140 annually (for storage and maintenance). Fifth District Councilwoman Gerrie Schipske organized a campaign last year to raise money to keep the two trees in Heartwell Park and two trees in the Duck Pond at El Dorado Park. The campaign last year raised enough money to pay for the trees this year, too. Livingstone said some of the trees are being pulled out of storage as workers test the lights and make any necessary repairs.